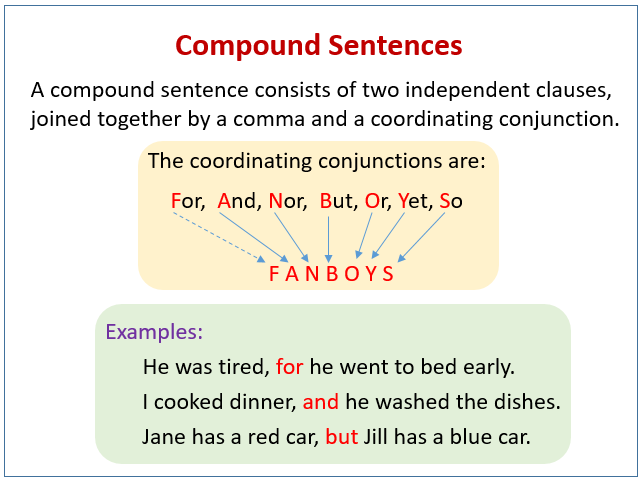 The following diagram shows what is a compound sentence. Scroll down the page for more examples and solutions. A compound sentence is made by putting two independent clauses together with the use of a conjunction. Introduce the compound sentence and its parts, and learn how to construct good, grammatical compound sentences of various lengths.